Pressure treated peeled pointed posts are primarily used for agricultural applications. Posts are pressure treated with a copper-based preservative for long-term performance outdoors. ProGuard Preserved Wood is pressure treated with a copper-based preservative for long-term performance outdoors in deck and fence construction and landscaping. Premium 5/4 decking is custom manufactured from SPF. It is visually graded before pressure treating to ensure that all pieces are premium quality in appearance. 5/4 x 6 x 16' Treated Wood Decking MicroPro Sienna Treated Wood uses the only wood preservative technology that is low VOC and certified as an Environmentally Preferable Product. 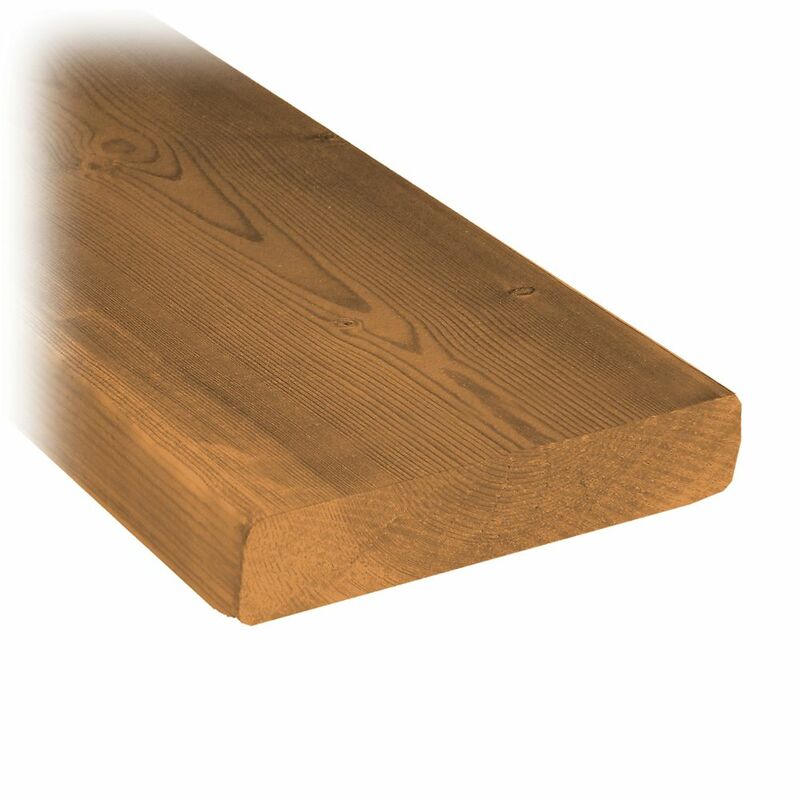 Innovative colour pigment technology gives the treated wood a warm, finished look. 5/4 x 6 x 16' Treated Wood Decking is rated 2.3 out of 5 by 3. Rated 1 out of 5 by Cindy from Terrible lumber This wood was so bad we had to return at least half if not more. Rated 3 out of 5 by Fred from Shrinks alot Need to install these without a gap. They shrink as they dry. Rated 3 out of 5 by Rodfather from Not terrible Although I read a lot of negative reviews regarding this lumber, due to the price I went with it anyways. I built a deck a couple of months ago, and from what I can see only one board has warped a little. The rest seems to be drying nicely. For the price it is decent quality.